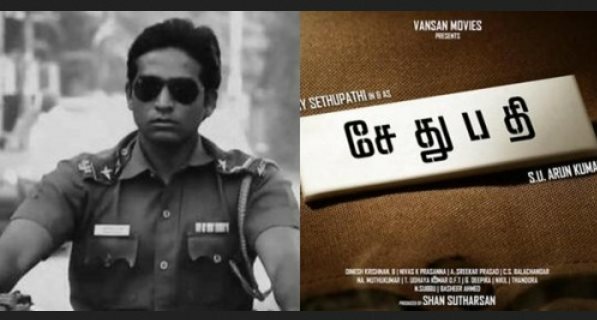 The Orange Mittai actor Vijay Sethupathi who has recently completed the shoot of Iraivi, has kick-started his upcoming project Sethupathi. Touted to be a realistic cop story without a lot of commercial elements, the film is directed by Arun Kumar of Pannaiyarum Padminiyum fame. As per recent updates, the first schedule of the film will be shot in and around Chennai. Being an action entertainer, the film will showcase the bravery of an honest policeman, played by Vijay Sethupathi. It may be noted that the actor dons khaki for the first time. Produced by Vasan Movies, the film has Remya Nambeesan of Pizza fame pairing up with the actor, after a gap of over four years. On the technical side, the camera will be cranked by Dinesh Krishnan while editing will be handled by Sreekar Prasad. Music is to be composed by Nivas Prasanna.